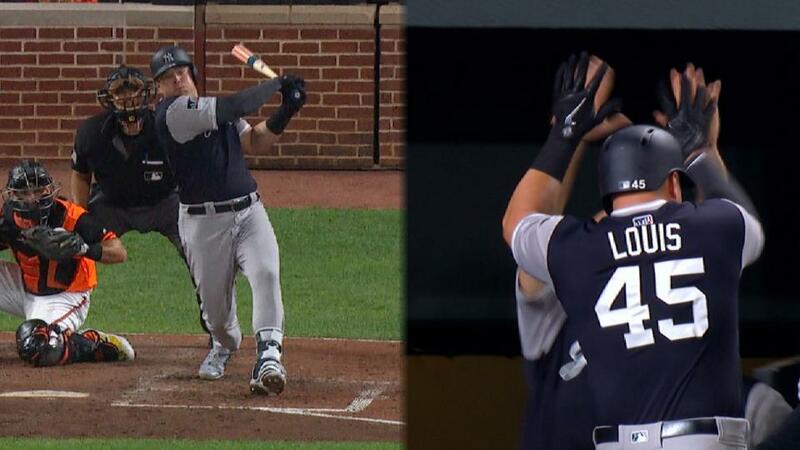 In the brief period that has elapsed since Luke Voit (Louis) stashed his gear in the Yankees’ clubhouse, his new teammates have pegged him as a player who carries himself with some swagger. The rookie showed on Friday night that he has the muscle to back it up. A pair of timely swings may have secured more opportunities for Voit, who enjoyed his first career multi-homer game in the Yankees’ 7-5, 10-inning victory over the Orioles at Camden Yards. Neil Walker (Walkie) hit a go-ahead homer in the 10th inning and Gleyber Torres (GT) also delivered a big hit, lifting New York to its fifth win in six games.